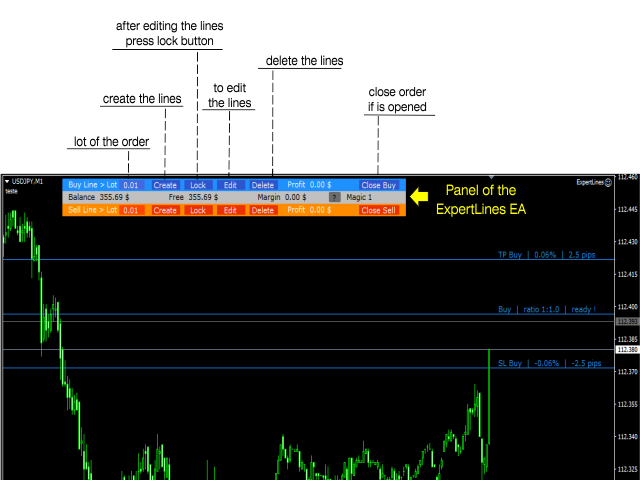 ExpertLines is a productivity expert to open orders by the breaking of the buy or sell lines, providing risk x reward and pips information on every trade. 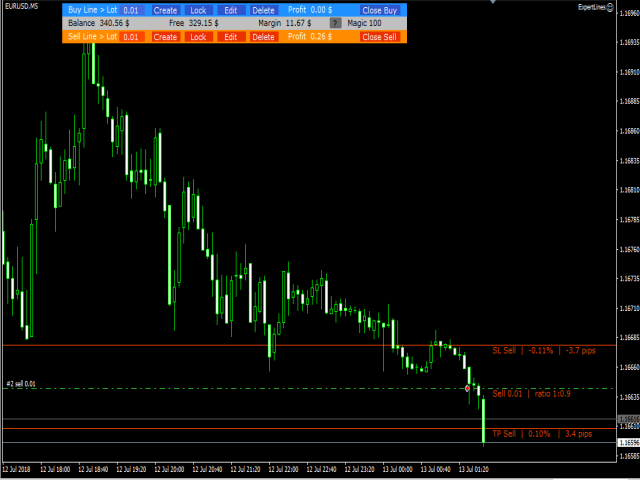 The expert can close the opened order by virtual lines of stop loss and take profit or by close buy or sell button. He also has a trailing stop resource if enabled. All this in a fast and easy way. Arm your trade with ExpertLines and have a good trade. Magic_Number - It is the magic number that the expert advisor uses to identify the open order. Slippage - It is the desired value of the slippage in the sending of the order. 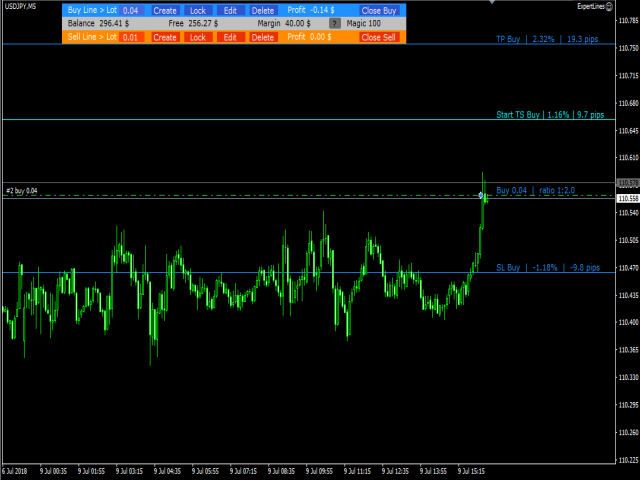 Max_Spread - It is the maximum allowed spread to open order (in Points). Trailing_Stop - enables or disables the use of trailing stop resorce. 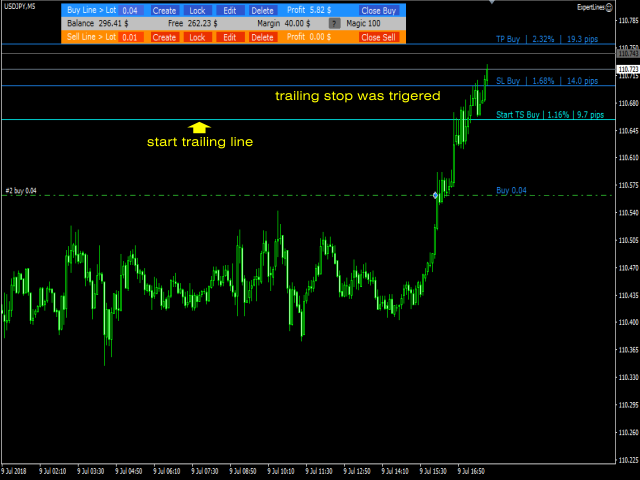 Steep - It is the advancement of trailing stop (in Pips). 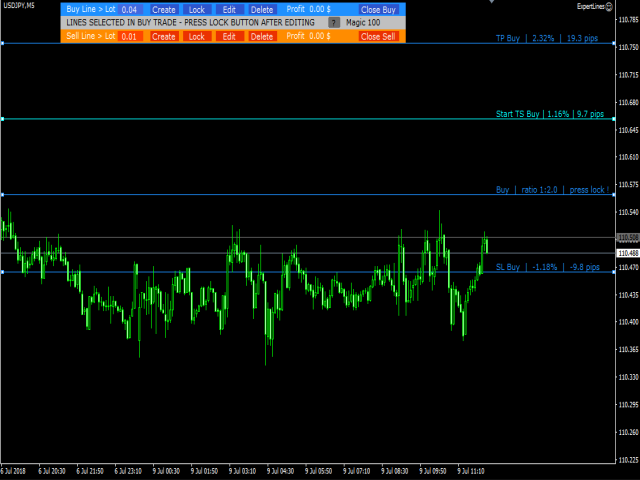 Uses virtual SL and TP lines. 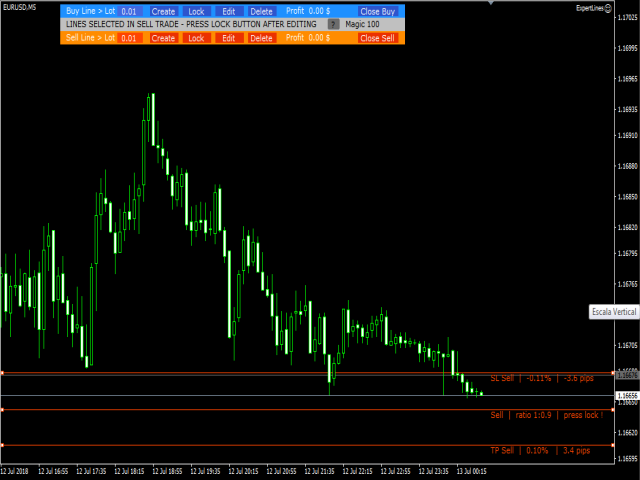 Stealth (the brokers will not see this lines). 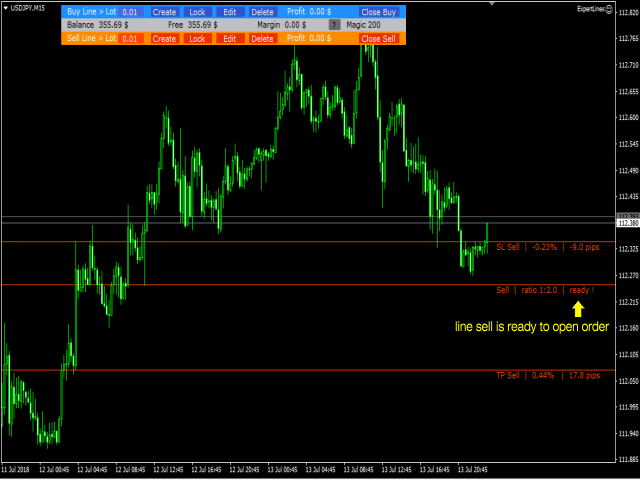 The lines adjust themselves when the time frame is changed before the order is opened, facilitating your edition. Quick change of the lines. 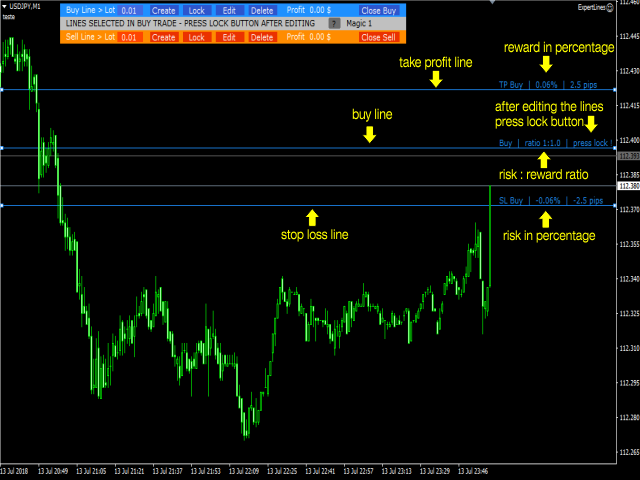 You can set up trades with few pips from the current price (scalping). 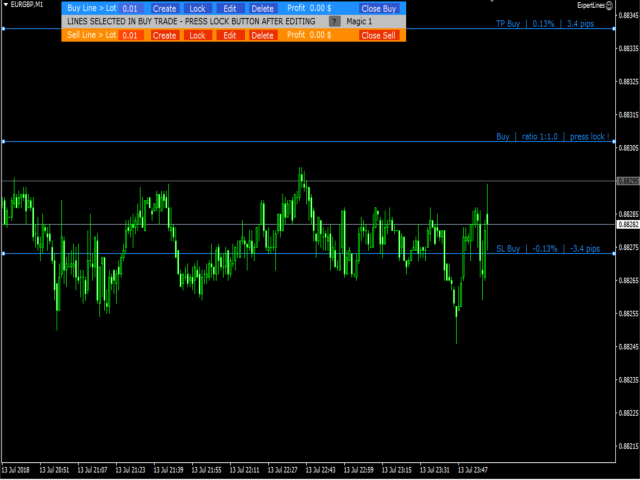 Quick visualization of the risk x reward in percentage in the SL and TP lines. 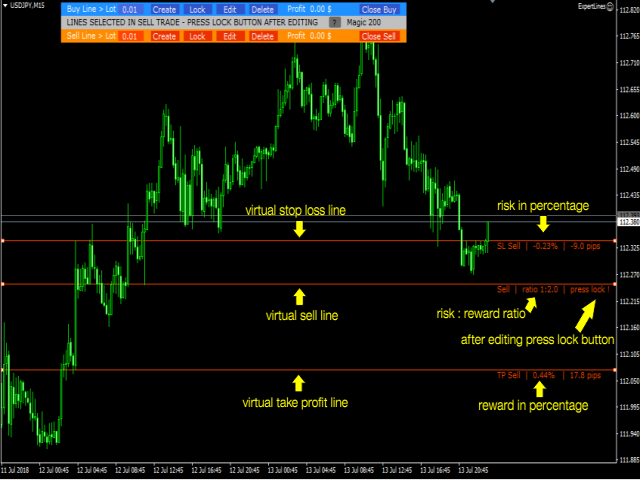 Quick visualization of the risk: reward ratio in the Buy or Sell lines. 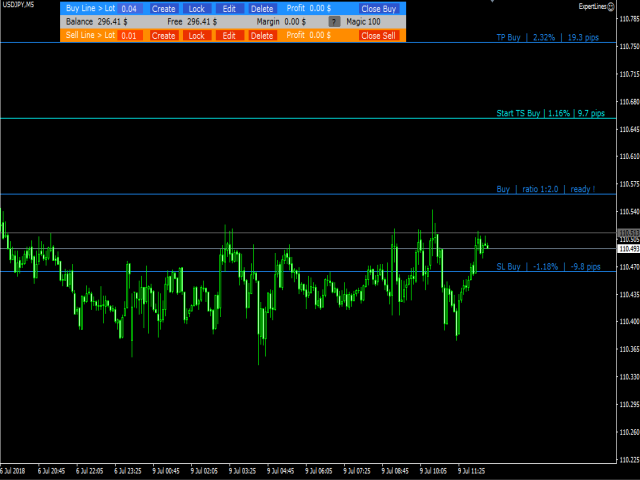 Quick visualization in Pips of trade in the SL and TP lines. Use Magic_Number exclusive to operate graphics of the same currency. 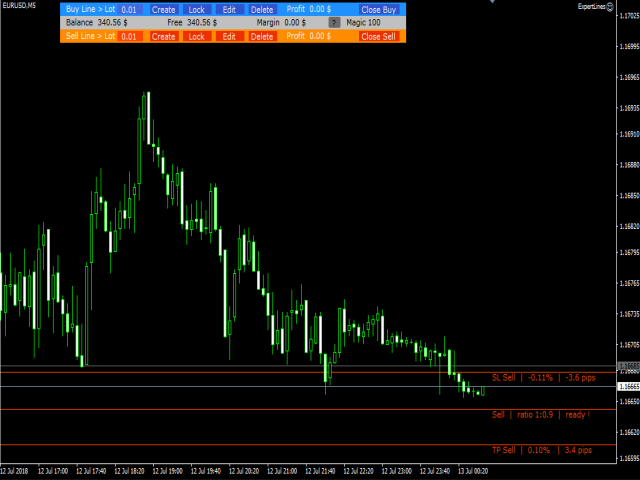 Example (USDJPY - H1 - Magic_Number 60 | USDJPY - M5 - Magic_Number 5).